Crisp and crunchy. One of the most popular snacks. Ketchup No. 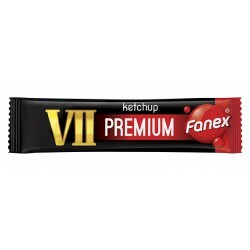 7 – exceptional flavour and perfect consistency make this ketchup a real hit with our customers. 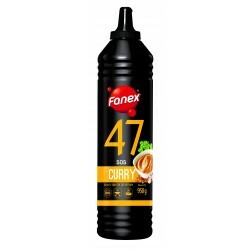 Enhances the taste of pizzas, sandwiches, barbecue dishes and many others. Aromatic, delicate and creamy sauce. Excellent with fish, potato dishes and roasts. 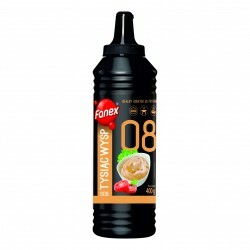 Distinct spicy flavour with a touch of onion make this sauce truly outstanding. Perfect with tortillas, kebabs, hot dogs and hamburgers Try it also with fish. The recipe for this sauce is based on a traditional recipe from Mexico. It is made with fresh peppers, tomatoes and a special mix of typical Mexican spices. Excellent with bean salads, bakes, potato and corn fritters. Perfect with cold snacks or as a dip for raw vegetables or crisps. Creamy and delicate cheese, combined with hot chilli provide perfect balance of flavours. Perfect for all Middle-Eastern-inspired dishes. Its intense flavour will satisfy all fans of hot and spicy food. Turns kebabs, pizzas and meat dishes into culinary masterpieces. Recommended for all oriental dishes as well as traditional European dishes providing an interesting taste accent. 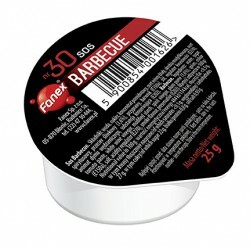 This mild ketchup has been specially developed for demanding caterers and barbecue lovers. It is thick, sticks to food and does not separate in hot dishes – all essential for true enjoyment of this superior ketchup; it delights with a classic tomato flavour and rich colour. Our original recipe is based on the unique Danish Remoulade. With added chopped vegetables and curry spices. Works very well when mixed with ketchup or mustard. Excellent with hamburgers and meat dishes. Recommended for chips, chicken, salmon and salads. 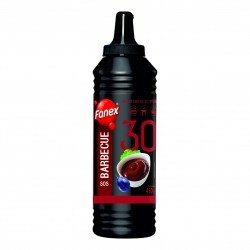 Improves the flavour of barbecue dishes. Recommended for pizzas, salads, sandwiches and meat. Ecellent for a variety of hot dishes. A specially developed new recipe. 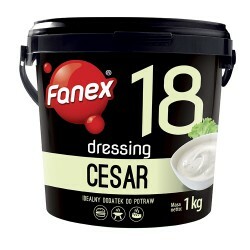 Its mild flavour Its mild flavour, creamy colour and thick texture make it perfect for use with a variety of salads, improving their consistency. 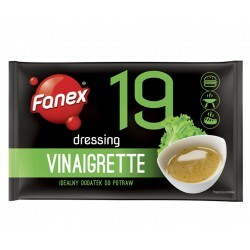 The superior qualities of this dressing make it an obvious choice for many chefs! This spicy ketchup has been specially developed for barbecued dishes. The rich tomato flavour and thick consistency enhance a variety of dishes bringing out a fuller flavour and a richer colour. Its classic yet stronger taste is perfect for anyone who prefers stronger flavours. Exceptional flavour combination which includes garlic and dill, makes this sauce a real treat for the palate! Improves the flavour of gyros/kebab and other meat dishes. Perfect as a dip with raw vegetables and savour snacks. Wheat tortilla, essential for Mexican dishes. Packed in controlled atmosphere. 30cm. A unique and unmistakable sauce. With the characteristic flavour and beautiful aroma of smoked, dried plums and fire smoke. Excellent addition to barbecue dishes, sausages and kebabs. Mild and delicate with an oriental taste. Its flavour compliments shashliks, kebab/gyros/shwarma and other meat dishes. Perfect for fans of oriental dishes but with a European touch. The recipe for this sauce is based on a traditional recipe from Mexico. It is made with fresh peppers, tomatoes and a special mix of typical Mexican spices. Excellent with bean salad, bakes potato and corn fritters. The very essence of Mexican cuisine! A very hot sauce made with a variety of peppers and fresh vegetables. 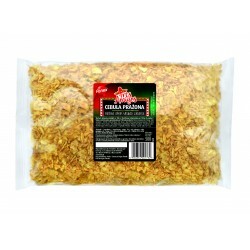 Essential for salads with beans, bakes, potato or corn fritters. An excellent sauce, not just for oriental dishes. 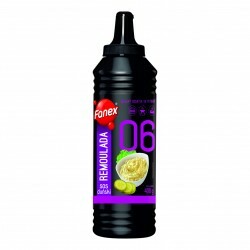 Ideal with seafood, chicken, beef or vegetables. Can be used cold as a dipping sauce or in hot dishes. Excellent addition to ice cream, cocktails, hot or frozen desserts and waffles. Rich chocolate flavour makes you want more! Turns any humble dessert into something special! Can be used to decorate cakes and desserts. A very hot sauce with chilli peppers. Intense, aromatic and very spicy! Excellent with meat, fish, poultry and vegetables. Perfect for fans of extra hot food! Legendary Ketchup No. 7 in the spicy version – exceptional flavour and perfect consistency make this ketchup a real hit with our customers. Enhances the taste of pizzas, sandwiches, barbecue dishes and many others. Mustard has been a condiment for many years. “Sloneczna” Mustard gives a new twist to this old favourite with its sweet yet sharp. Ideal with meat or fish. 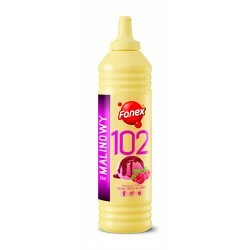 Mayonnaise-based sauce with an intense salmon colour. Excellent addition to meat and fish dishes (especially salmon), try it with chips! Traditionally used in Polish cuisine. Perfect companion for roast meats, sausages and baked potatoes, barbecue dishes. Milder in flavour and creamier in texture compared to classic horseradish, but still full of flavour and aroma! Can be mixed with cranberry for a new flavour experience. One of the most popular sauces in the World. The irreplaceable basis for any salads. Its thick, creamy texture absorbs water from chopped fruit and vegetables, ensuring durability for any salads. Delicious taste and the characteristic aroma gives the guarantee successful culinary experiments for each cook. 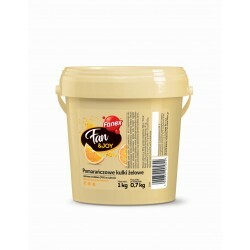 “Stolowa” Mustard - traditional condiment, found in every kitchen! Light, creamy and mild – a truly versatile addition to cold meat, roasts, salads as well as barbecue dishes. There is no Polish cuisine without horseradish. Spicy and full of flavour and aroma. Rich in valuable nutrients.Perfect companion for hot and cold meats, pork knuckle and sausages. Delicious salad dressing composed for the ideal combination of of wine vinegar and oil, enriched with carefully selected spices composition. Excellent addition to any salad, and cooked or fresh vegetables. Exotic, delicious sauce that will enrich meats of oriental note. It tastes great, and its beautiful, rich texture creates a beautiful composition with many dishes. Traditional thick and creamy mayonnaise with an excellent flavour, perfect for decorating dishes. 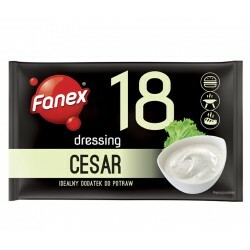 Ideal for cold meats, salads, egg dishes. Traditionally used in Polish cuisine to finish off many buffet dishes. 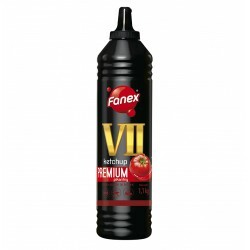 Thick and sweet sauce with toffee aroma and caramel colour. Excellent addition to hot or frozen desserts, ice cream, fruit salads and waffles. Sweet with an intense red colour – it's summer in a bottle! Perfect addition to waffles, ice cream and all hot or cold desserts. A'La Dijon Mustard – produced using the classic French recipe, ideal with roasts, cold meats or vegetables. Its characteristic sharp, intensive flavour, creamy texture and superior quality provide a touch of French flavour in your kitchen. Rich and satisfying blueberry dessert sauce. Its intense aroma compliments many hot or cold desserts. 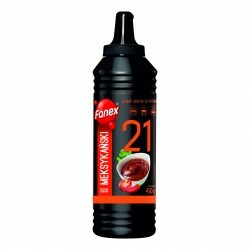 Deep red colour and rich cherry flavour make this dessert sauce an excellent addition to hot or frozen desserts, ice cream, fruit salads and waffles. An exceptional addition to any dessert. The Advocaat flavour works especially well with chocolate ice cream. Wheat tortilla, essential for Mexican dishes. Packed in controlled atmosphere. 25cm.